This No Food Or Beverage Sign is 18" x 12" and constructed of heavy duty plastic. It has pre-punched holes for easy hanging and features U.V. resistant ink. 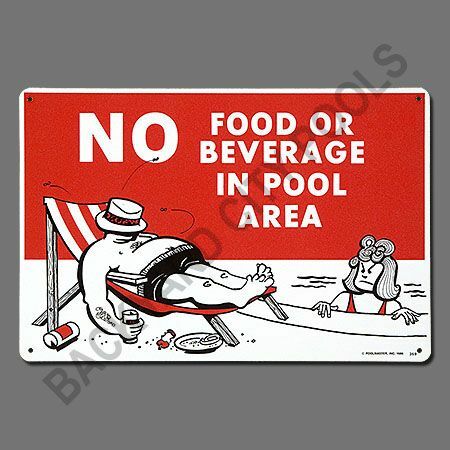 It features a colorful cartoon graphic with the phrase: NO Food or Beverage in the Pool Area.